Obamacare is not working, and while it has been a month since the new Obamacare websites have rolled out, there is a stunningly low number of people who have signed up. 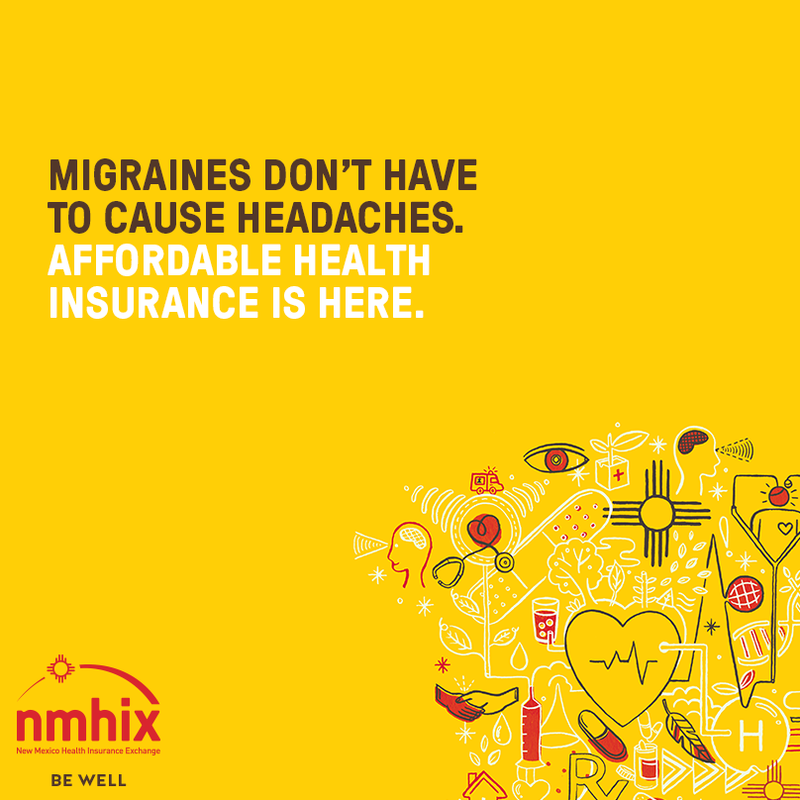 In the entire state of New Mexico only 172 people have signed up through the NMHIX website. That is not much for a state with a population of over two million. 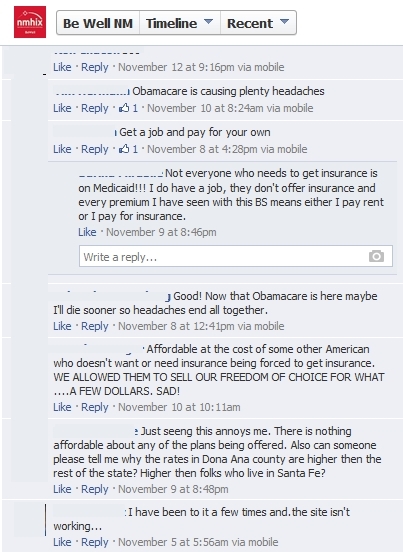 On Facebook people are taking their frustration out on the NMHIX Facebook page “Be Well NM.” For them, Obamacare is one big headache! Obamacare is a failure and New Mexicans do not need or want it. Next Post: New Developments in the Fight for LIFE! It is always entertaining AND PAINFUL to watch the Federal Government in general, and the Obama Administration in particular, try to ‘fix’ something, anything. Of course when they try to ‘fix’ something as big as healthcare (1/6th of the entire economy) the usual bad result becomes a catastrophe. When will they ever learn?